India’s Ministry of Commerce and Industry (MCI) has introduced a new blockchain-based e-marketplace for coffee. Commerce Secretary Dr. Anup Wadhawan said that the coffee e-marketplace will help integrate the farmers with markets in a transparent manner and lead to realization of fair price for the coffee producer. He added that blockchain technology will also reduce the number of layers between coffee growers and buyers, and help farmers double their income. 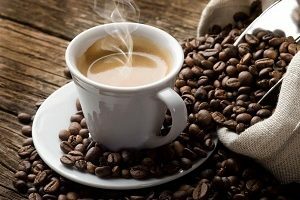 The blockchain-based marketplace app, which was developed by the Coffee Board of India in partnership with Eka Software Solutions, aims bring transparency in coffee trade and maintain the traceability of Indian coffee from bean to cup so as the consumer tastes real Indian coffee and the grower is paid fairly for his produce. The app is currently being piloted with a limited number of growers, roasters, exporters and traders. The pilot will last for four to five months. If this pilot succeeds, Coffee Board Chairman Srivatsa Krishna said they will cover all 350,000 coffee growers in India. “With this activation, we are confident that the Coffee Board of India will help the Indian coffee trade make more inroads into the premium market internationally and make India one of the top three coffee producers in the world,” sadi Manav Garg, CEO and founder of Eka Software Solutions.